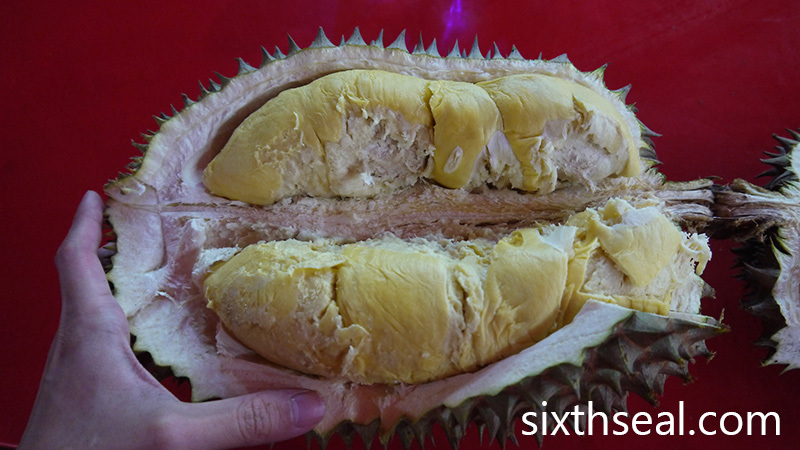 HB, super enjoying all your durian posts as of late…but this does mean my next trip home to Penang/Malaysia with my husband will be spent looking for all the special durians!! 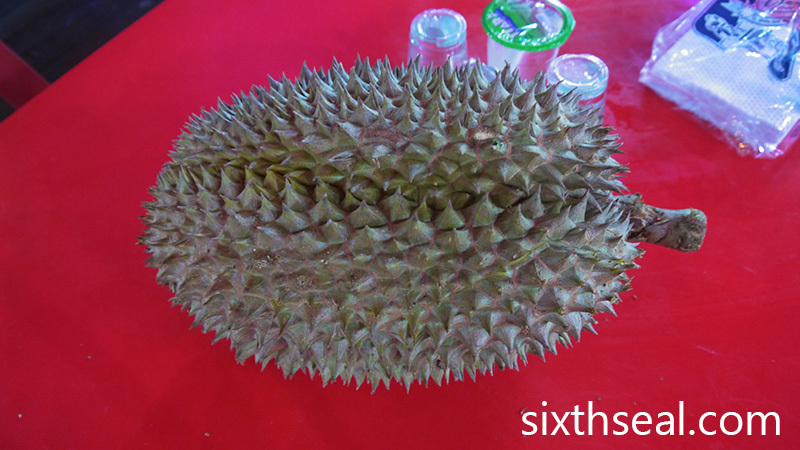 wah…… that’s really one durian of the durians!!! 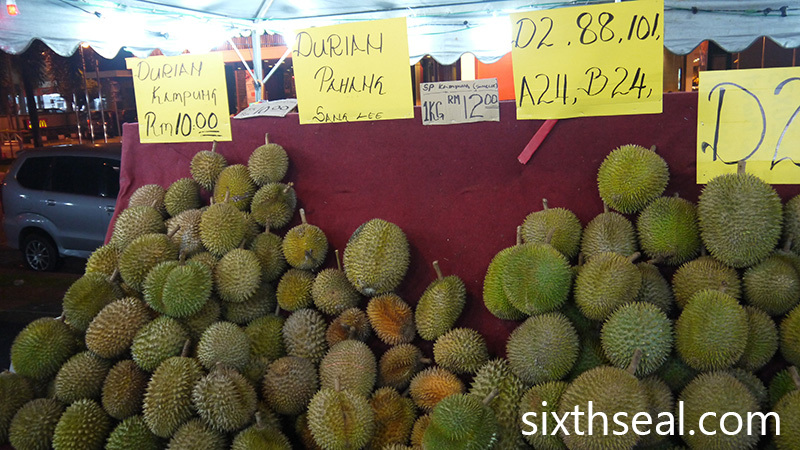 looks like durian love still in the air. I miss having the “durian king”. 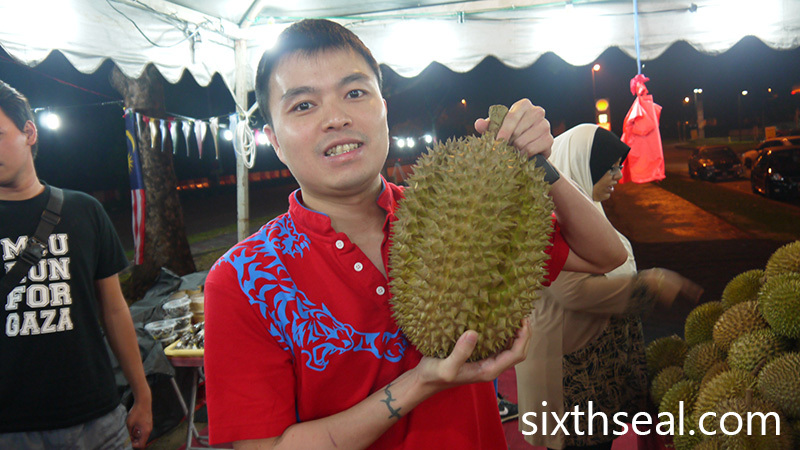 with the durian flesh inside, larger than my palm. Super gelak/sickening but super tasty. I don’t think I would want to waste my stomach space eating a durian that has a distinct lack of a odor and relatively bland taste. Good that you managed to finish eating it by having it for every meal. 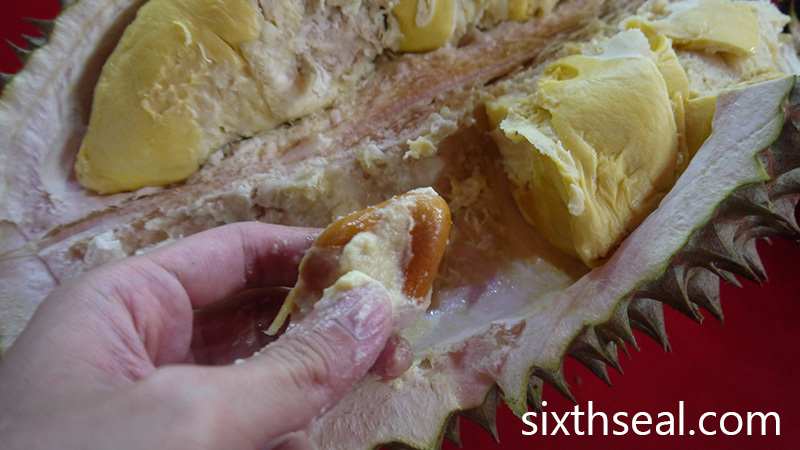 Although it does not have much taste but I think the flesh is still very nutritious. Yup, looks like a Monthong to me! One of the ways you can tell is that the locules (there are five of them) go in kind of deep, so it looks kinda like a very misshapen flower from the top, whereas some durians are more full and roughly spherical when viewed from the top. Also, the thorns of Monthong are hooked. I don’t really like fully ripe Monthong. 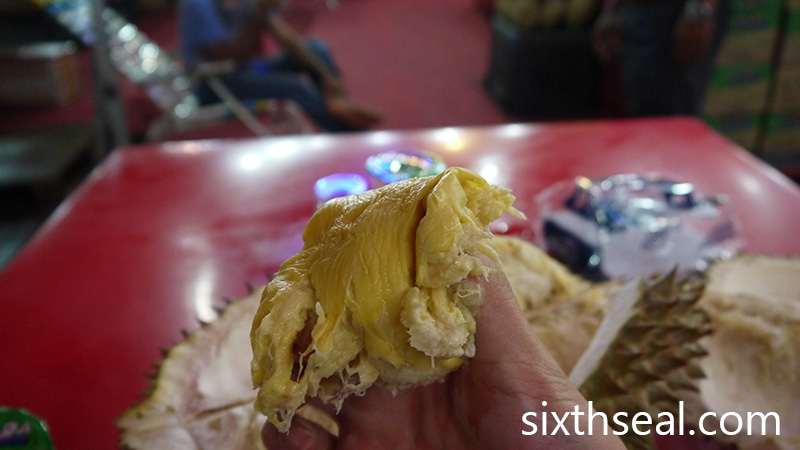 I feel it has a stronger onion flavor than some when it is fully ripe and is best eaten half-ripe, the way the Thais do (the subtleties of durian tasting! lol) But I have to say I’d eat some right now if it were around!